Welcome! 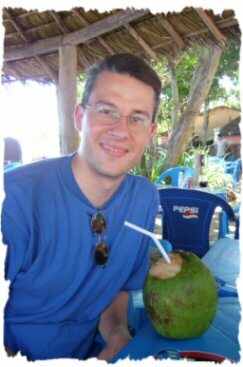 My name is Russell Walker, and I started learning Portuguese in 2001. Here you will find lots of resources to help you learn Portuguese. The main focus of this site is on Luso-African Portuguese (i.e. the flavour of the language used in Europe and Africa), but Brazilian alternatives are also given. There is plenty of free content on this site which will help you get to grips with the pronunciation and grammar, as well as links to other online resources. Use the menu, above, to navigate through the site. At the start of each section is a list of links to the pages within that section, and at the end of each page within a section, there is also a link to move to the next article. I have tried to make the site mobile friendly, so you can learn on the go. The main language guide starts here: Introduction. If you want to use more content for any reason, please contact me. The entire contents of the language section of this website (expanded). More explanations, including full treatment of the subjunctive mood, personal infinitive, and other tenses not covered on the site. Over 500 exercises, with solutions, to help you practise and consolidate what you have learned. More reference material and vocabulary, including a handy quick reference guide to the different tenses, and verb tables for all the most common irregular verbs.